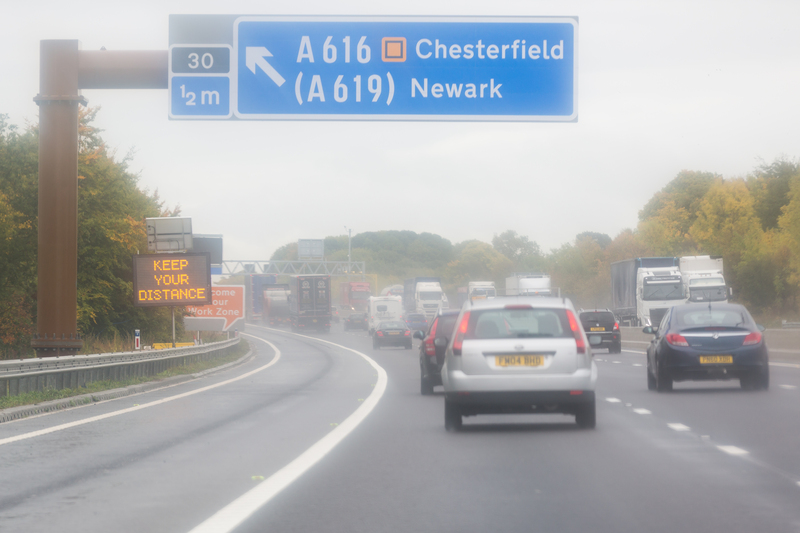 Following a competitive trial, MVIS was selected to supply variable message signs (VMS) to form part of a new customer experience pilot project on the M1 corridor, which incorporated smart motorway roadworks at three sites between junctions 42 and 15. The deployment comprised 157 A and C portable VMS, manufactured in the UK by Bartco UK, 53 of which were used within a journey time solution (JTS) along with 55 Vysionics Vector Integrated ANPR cameras and MVIS’ Web Studio™ sign management system. “Due to its partnership with Bartco UK, MVIS was able to quickly supply the large quantity of VMS required, and the signs were brand new and to EU standard. Indeed all the products were, in our opinion, the best on the market. The leader in the creation of temporary intelligent transport system (ITS) solutions worked in partnership with the UK’s only manufacturer of portable, solar-powered, five colour matrix VMS, to create a JTS. Together they delivered the largest deployment of portable VMS on the UK motoring network to date.